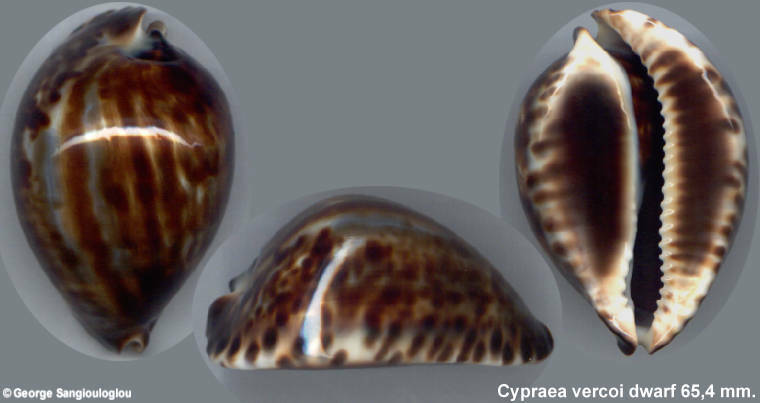 Cypraea vercoi dwarf 65,4 mm. blue and brown bands running from tail to tail. Most unusual markings.